Step 1: First of all Download and install the Android USB Driver for your device into your Computer . If you have already installed the USB drivers then SKIP this step . 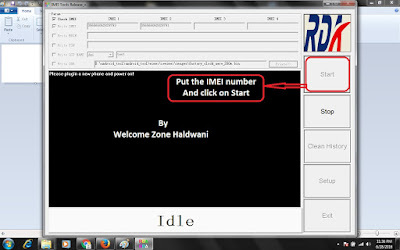 Step 2: Download and Install RDA IMEI tool into your computer . Step 5: Now, Power Off your Android smartphone . Step 6: Now its time to connect your Android Smartphone device or Tablets to the Computer via using USB Cable And power on the phone . 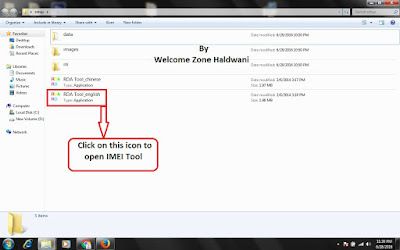 Step 7: once IMEI repair completed successfully, A Succeeds Window will appear on the screen now ,Click on “OK” to Close it. Step 8: Now, close the tool by clicking on the “Exit” Button. Step 9: Now Restart your device . Congratulation, It means you have been successfully repair the IMEI of your Android Device . Charge Your Android Device Upto Minimum 60% – 80% before using this Tool . This tool will only works on RDA chipset Devices . Please use a valid IMEI .